CYNTHIA J. DIENSTAG has focused her practice on marital and family law since 1989, and expanded her specialization to include domestic partnership matters. 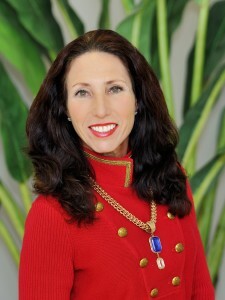 Ms. Dienstag is a Florida Supreme Court Certified Family Mediator. She earned an Associate in Arts degree from Florida State University, a Bachelor of Science degree from Florida International University, and her Juris Doctorate degree from the University of Miami, School of Law. Ms. Dienstag was honored as Woman of the Year 2012 Nominee for The Leukemia and Lymphoma Society. She is AV Preeminent® Peer Review Rated by Martindale-Hubbell®, the highest rating from Martindale-Hubbell®, given only to those attorneys recognized for their superior ethics and legal ability by their peers. Memberships include: Honorary Society of First Family Law Inns of Court, Florida; Palm Beach, Broward and Miami-Dade County Bar Associations, Family Law Sections (former chair); and she is admitted to the Supreme Court of the United States. Listed among Who’s Who in American Law 1998-1999 edition and Who’s Who of American Women 2006-2007 edition. Ms. Dienstag was chosen by Florida Trend Magazine as one of the Florida Legal Elite since 2006, voted Florida’s Super Lawyers 2007 with the Miami Herald. She is frequent lecturer on complex areas of marital and family law. Appearances include: Court TV Live Radio, Fox “The Live Desk”, “The O’Reilly Factor”, and “Catherine Crier Live”.